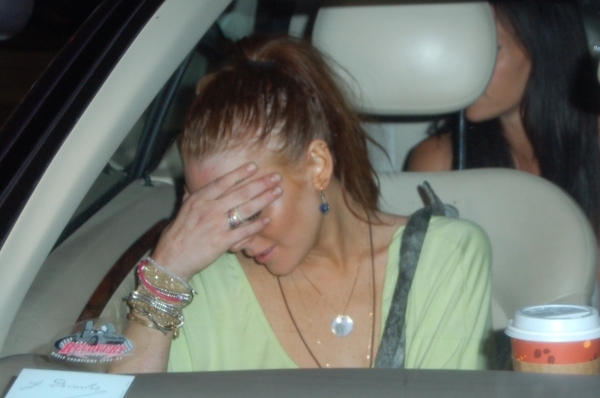 Lindsay Lohan Out of Rehab. Celebrity life is not always easy as celebrity actress Lindsay Lohan proves through the multitude of scandals that have surrounded her throughout the years but things are seemingly working out for the best as Lindsay leaves rehab. It seems that things are finally getting back to normal for the well known celebrity actress Lindsay Lohan as she checked out of rehab after a 90 day stay. The troubled 24 year old has been struggling with a drug and alcohol addiction for years but Lindsay Lohan is finally out of rehab and hopefully this time for good. The Rancho Mirage clinic located in California has tried to help Lindsay get back on the right track and it's all up to her to stay sober and clean as she still has to face random drug and alcohol tests until her February court hearing. It's true that change is good in such moments but we wonder if the change Lindsay Lohan opted for as she left rehab is the best as she decided to move into a brand new house in Venice Beach, California, where else but next door to her old love, DJ Samantha Ronson. The popular DJ was not thrilled about her new neighbor and rumors say that this was not planned and she was clearly outraged by the move. Lindsay Lohan stated that she did not know she had bought the property that was right next door to Samantha and that if her moving there would be a problem she would sell the house. We hope this doesn't turn into a scandal and that everything will start out just as Lindsay stated in her tweet: positive!